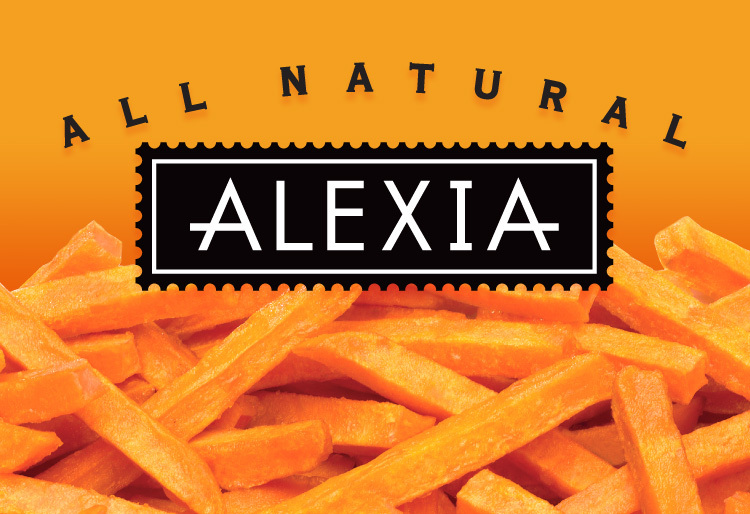 Founded by one of the creators of Terra Chips, Alexia is an all-natural line of frozen products developed for the natural and specialty food consumer with a sophisticated palette. The frozen section adds the challenge of communicating a brand through freezer doors that are often translucent with condensation. 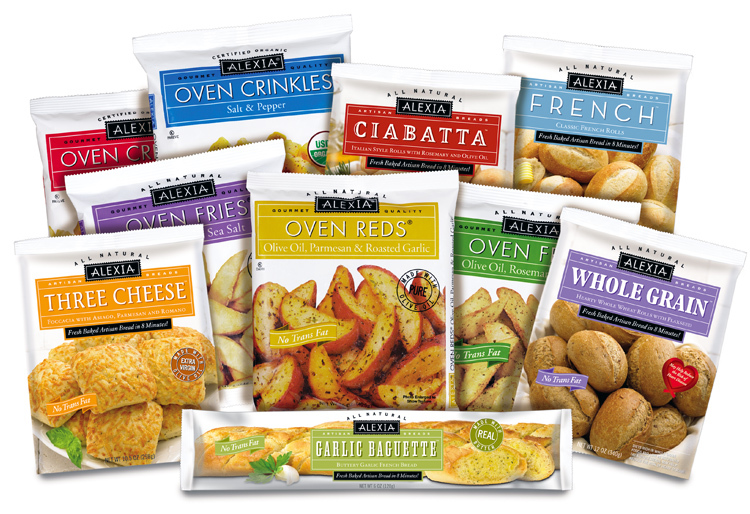 We pressed forward with a strong color palette and striking lifesize, lifelike photography for maximum appetite appeal and communication. We built a scaleable system to meet the business objective of enticing investment. 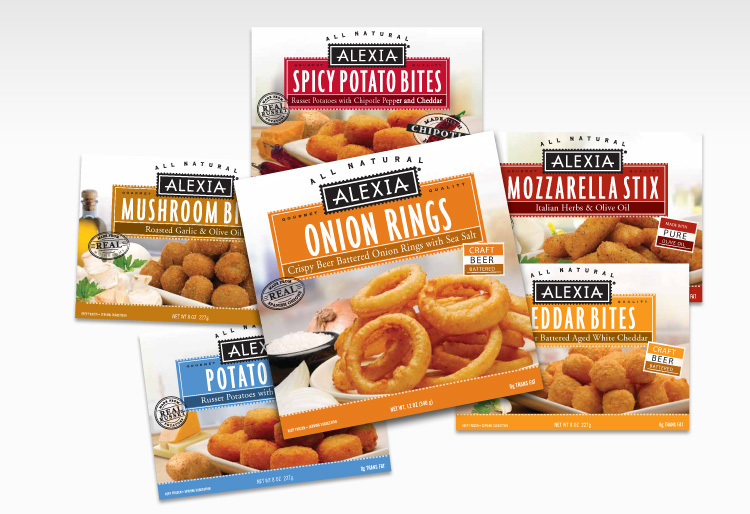 Within five years, Alexia grew to $35 million attracting acquisition by ConAgra who expanded the product line while adhering the brand guidelines and rapidly exceeded $100 million in sales.